For the more adventurous, you will be able to explore the Langhe Hills either on foot, or on two wheels. 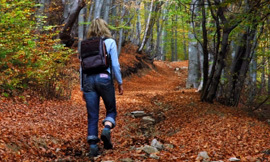 The walks/hikes can vary from beginner to expert and can be either half day or full day outings. The best way of getting back to nature in Piemonte. We can arrange a picnic to take with you if you desire. The stables are a 25min drive from the hotel and has horses for all types of riders. Whether you want to brush up your dressage skills, or trek through the mountains, we’re happy to leave you in Ivan’s capable hands. Can be arranged any time of the year. You’ll be able to escape the crowds and spend your morning floating above the patchwork of Piemonte or the mountains of Lange. A romantic experience not to be missed, as you drift effortlessly along. The return to earth is eased with a bottle of wine on your return. Just let us know in advance if you would like us to arrange this for you.